Long and extra wide 3.8cm slots. • Manual control and extra-high lift lever. • Shade control dial with 7 shades. 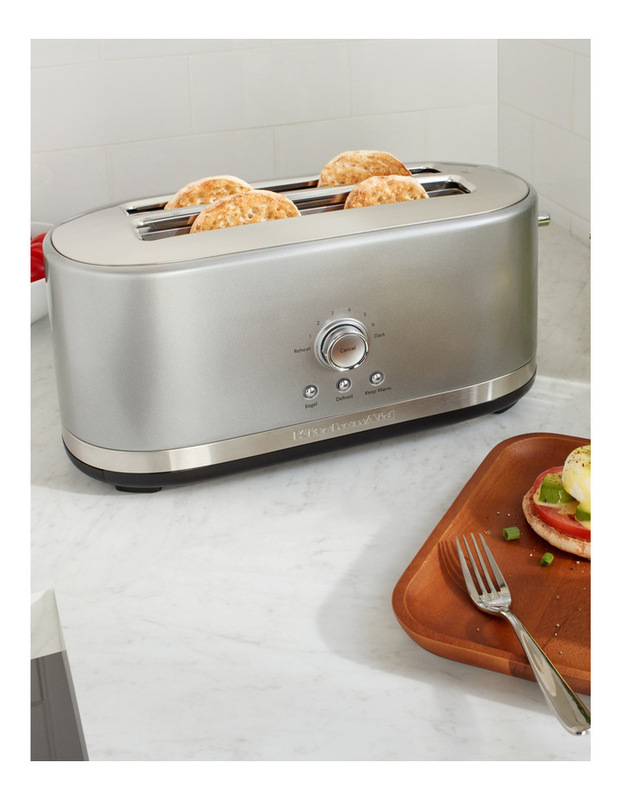 • 4 functions- defrost, crumpet, keep warm and reheat. • All metal construction, smudge resistant. • 20.2 x 42 x 19.6cm, 2.8kg. 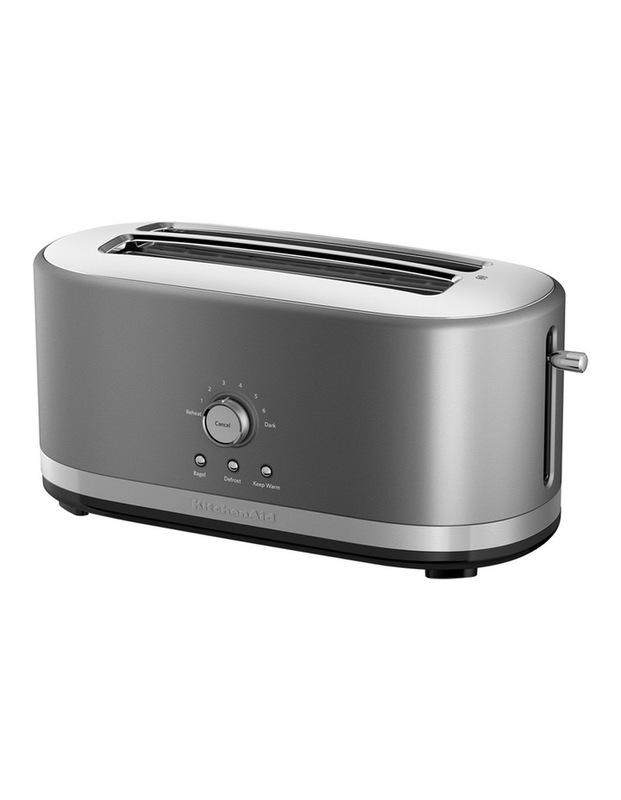 Make a statement on your countertop with the KitchenAid 4-Slice Toaster, which accommodates a variety of shapes and sizes of breads. With 7 shade settings, including Crumpet, Defrost, Reheat and Keep Warm. 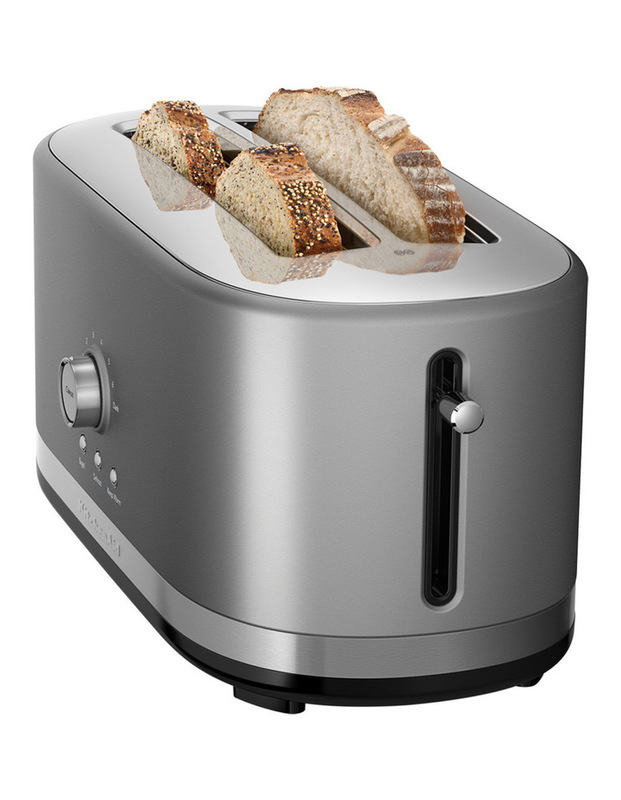 A high-lift lever is convenient for removing smaller slices of bread or to check progress at any time.